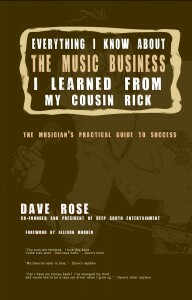 This is the first book I’ve ever written, so I’m learning a lot about the publishing business along the way. I have been fascinated with Amazon. I’ve always known they were a great store, but really had no idea just how enormously popular they were until today. When I went to bed last night, 12/12/12, my book had just been released. Although it was technically available a week or so ago, it wasn’t really available in all forms until yesterday. So before I went to bed I decided to give myself a sense of accomplishment by going to Amazon.com and searching for my book. There it was. By 10am this morning I had crept up 900,000 slots to 344,503 in the rankings. 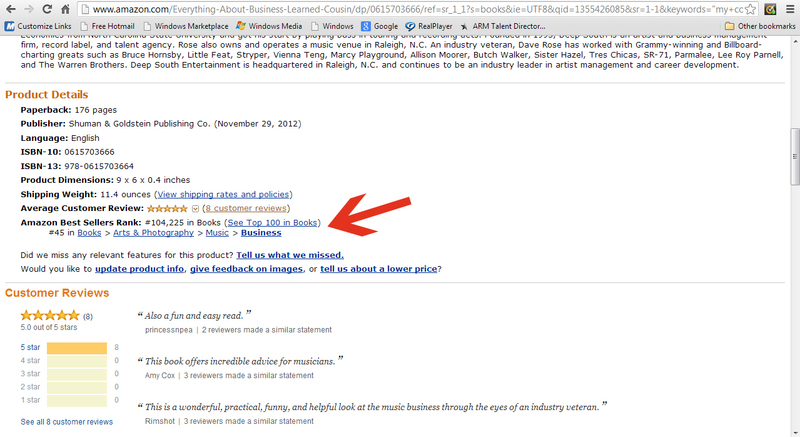 And by 2pm this afternoon I had climbed to 104,225 and was also #45 on the Music Business book list. Apparently there are over 5 million books on Amazon. Amazing! 5 million books on Amazon? I’m feeling flattered to have broken the top million now. It’s been an eye-opening day for me in the book publishing world. 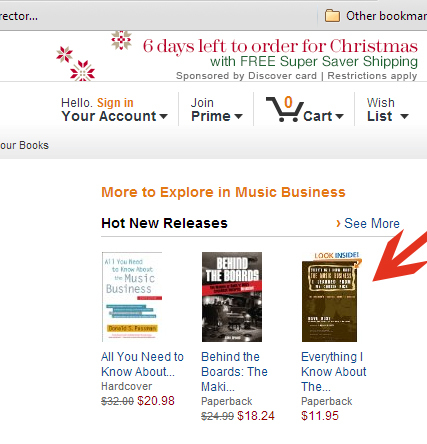 But I think what felt the best was logging on this evening and seeing my book in the “Hot New Releases” Music Business section. Hot new releases? If you say so.